The DC Animated Universe of films continues in 2016 with Batman: Bad Blood hitting stores in just a couple of weeks. The follow-up to that film will be Justice League Vs. Titans due this Spring. 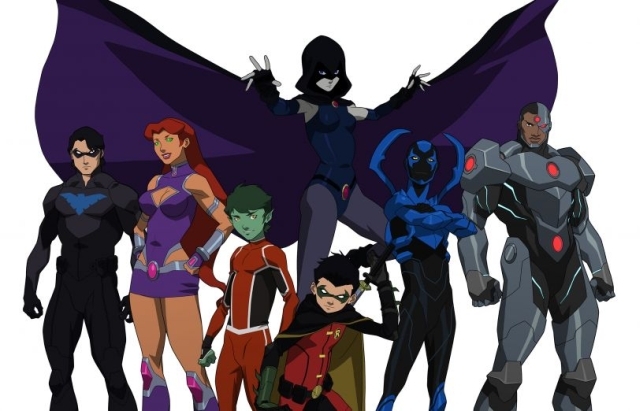 Above is our first image for the film showing off the Teen Titans that will appear in the film and take on the Justice League when the evil Trigon possess the Justice League forcing the young heroes to take them on. Justice League Vs Titans will be available on Blu-Ray, DVD, and On Demand this Spring. The Suicide Squad Trailer Is Here! A Secret Cloverfield Sequel Was Made? Sort Of!